Growing up in Italy in my Italian family, I had to learn to do things in a certain way. We were respectful of the environment due to lack of space and lack of technology, hence we reused and recycled many items, other than using our hands to do the work of appliances and machines we didn’t have. We also learned to use our hands to make things, clothes, food, and items for the house. Depleting the environment was not a common notion back then and I am not talking about the Dark Ages either, it was just the way of life. The building I lived as a child was a circular shape, with an atrium open to the sky as the main entrance to the building, closed with a heavy iron door that needed 2 people to close it and a terrace on the top of the building. People leaving there used the atrium to socialize, eat together especially on Sundays, gossip, playing cards, help each other in case of necessity, kids played safely indoor and breathed fresh air. It felt almost like the film “Rear Window” with James Stewart and Grace Kelly. The terrace was the place for hanging laundry, for drying food or making preserved food and sauces to keep for the winter. Laundry time was really fun for the kids, a lot less for women doing the laundry. Did you know that in the ’60s when in America women already used the washing machine in the comfort of their laundry room, in Italy part of the country was still washing clothes with the ashes from burned wood? The process of ashes filtration happened through a simple white cloth with the aid of boiling water to extract the sodium carbonates present in the ash. This operation was practiced up to the ’60s to wash and whiten the laundry, also to peel legumes. It was hard work for the women who did it at least once a week. Kids didn’t have the chore of the laundry, we watched the juicy romance that was taking place between the sheets hanging in the sun. In Italy love is everywhere, it’s just the air of the country that makes anyone fall in love. We played kids’ game on the terrace, but when the laundry was up drying, we mostly enjoyed watching grown-up lovers and teenagers at their first love experience making out between the sheets hanging in the sun. They used them as a shield to hide, smooch, kiss and talk romance. Sometimes we received a few cents to keep an eye at the door of the terrace and prevent anyone unwanted from coming in. The memory of the terrace is still grant. Some of us girls got the first kiss between the sheets on the terrace. Today, I have a washing machine, I always had one, and no, I have not washed my laundry with ashes, but I never had a dryer in my entire life. I like my laundry to smell fresh as nature without the chemical of softener. 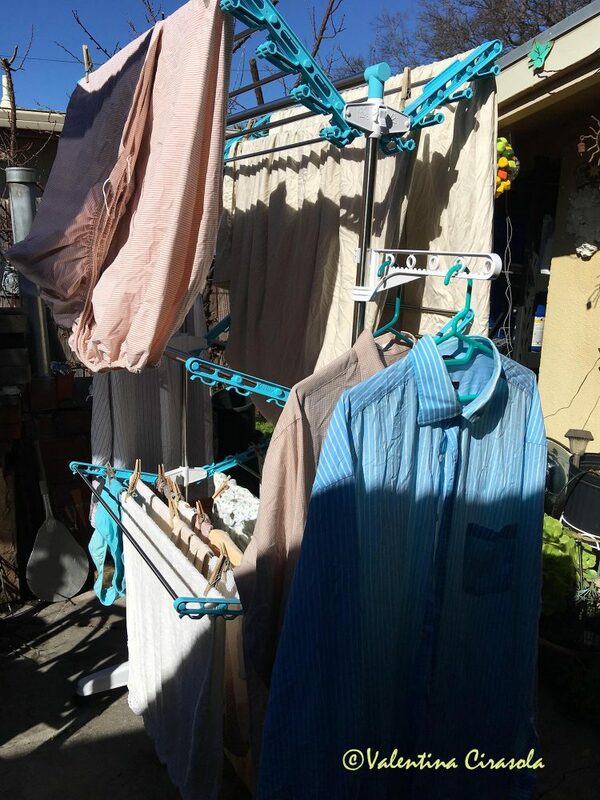 Drying laundry in the air is bucolic and saves electricity. I keep it away from direct sunlight to avoid discoloration and not to get it as dry as Norwegian stockfish. However, I am a big believer in recycling or reusing and I teach others to do the same. One cannot possibly understand how much I recycle. Yes, I do have time to do manual things, it’s all about priority and how one organizes life. Picture the plastic bags we get free at a grocery shop to put our vegetables in. I wash and reuse them. I use soap and loofah for bath and shower, no bubble bath in plastic bottles. To clean bath and kitchen fixtures, I use a lot of lemons from my tree, vinegar and newspaper to clean windows. In my studio, I reuse the other side of the paper already written on one side. I use a limited amount of home cleaning agents, one for the floor, one for the dishes and one for the clothes. Never buy food in cardboard boxes or canned, nor drinks in plastic bottles. I don’t eat or drink in plastic vessels. 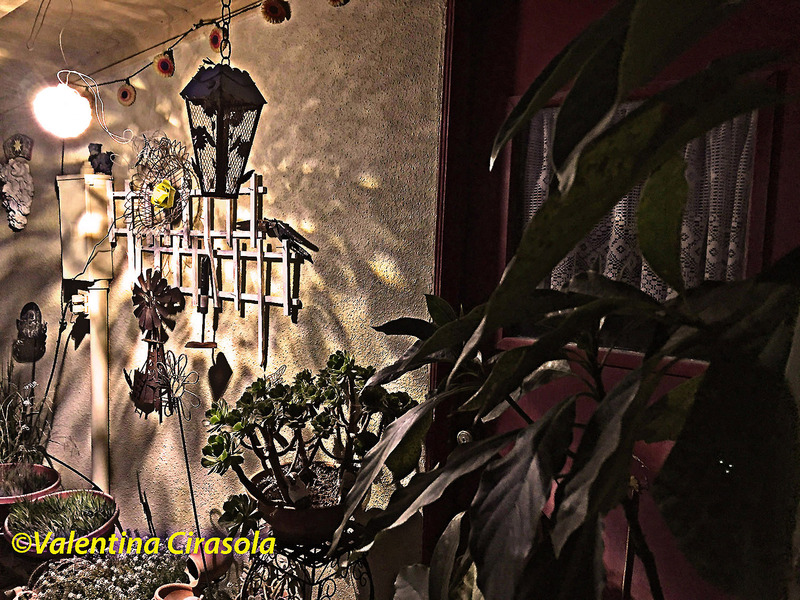 I use ceramic and glass, when they break, I use them as decorative items in the garden. This list is only the beginning of things I don’t do. It is part of my cultural heritage and beliefs I grew up with that followed me everywhere I went in the world. Being environmentally clean is my goal in my life and in my designs. “Those who know how to make things with hands will survive” ~ often said my grandmother, who lived through two great wars and economic depressions. She embedded in us kids her way to save everything and made it a concept for a life. To reuse and repurpose is a daily practice for me, in fact, my neighbors thinks I come from Mars for being so extremely diligent in saving the environment. Other than papers and a few bottles, my garbage bins are always almost empty. 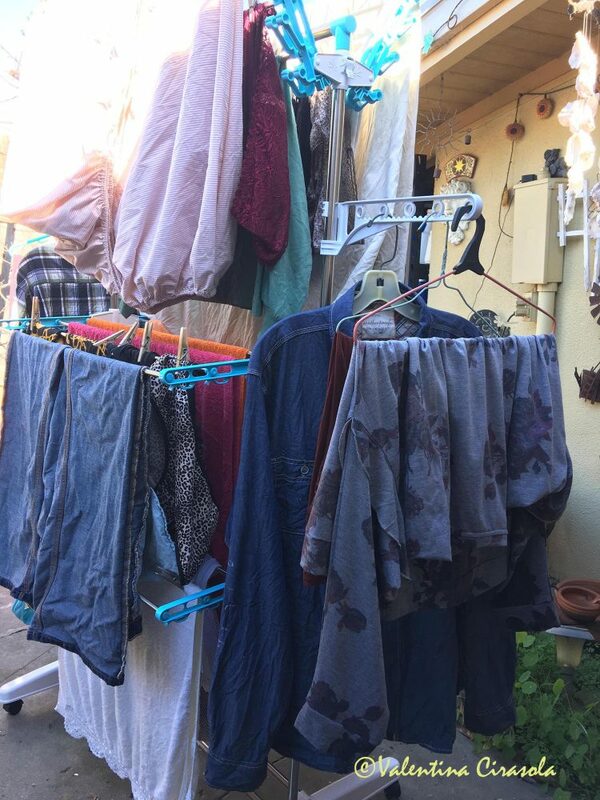 I dry my laundry in the wind and repurpose as trash bags those plastic bags for fruit-vegetables from grocery shops. Leftover food become a new specialty. Consumed towels get repurposed into dust rags. Papers written on one side are reused as scrap paper. I repurpose clothes as new creations, save buttons from old clothes and incorporate them in something else new. Scarves and shawls become covers for side tables, the list goes on and on. I am a true repurpose and recycle Queen, perhaps I should start teaching classes. The object in the photo below was a candle holder with glass beads. A little knowledge of Arduino technology turned it into a LED light for the garden. The night is no longer dark in that area of the garden. It’s my hope that through my writing and my stories I am enriching your aesthetic sensibility towards design, style and inspiring you to live in beauty. I have loved my profession as an interior-fashion designer since 1990. 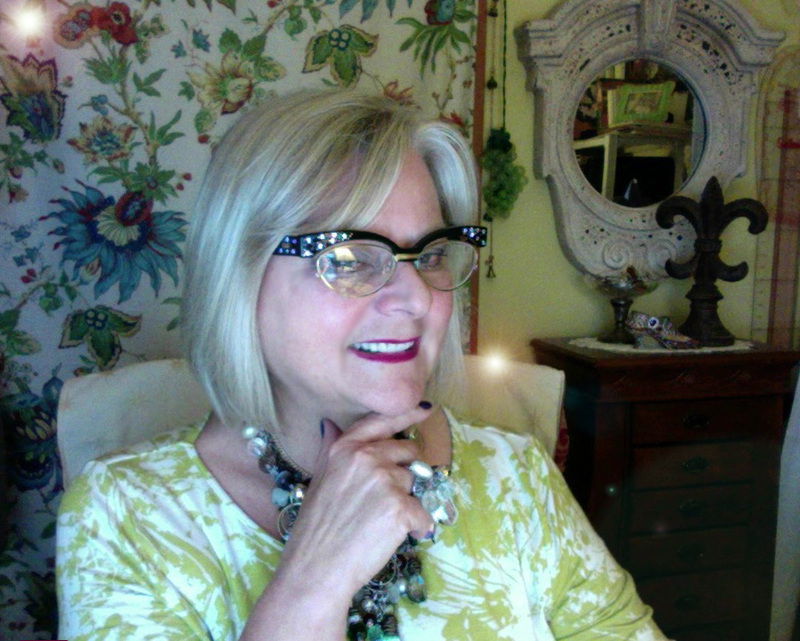 I am here ready to offer consultations on-line if you need. Check out my latest book on the subject colors.